Cocoa Beach | Just Shooting Memories! When I was a little, I went on a family vacation to Disney World in Orlando. I remember that part of that vacation, we went to see Cape Canaveral. I don’t remember if we went to the beach while we were there. 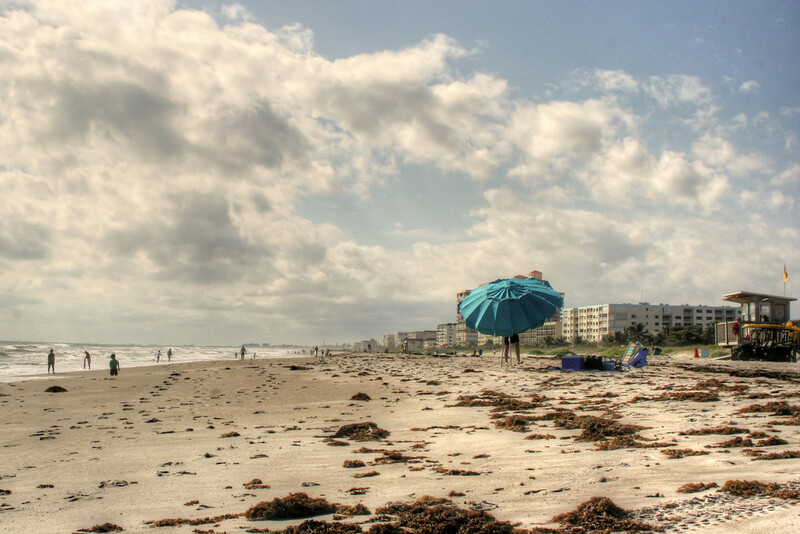 Several years ago, I was in that area and decided to stop by Cocoa Beach for a little while. It was cold and windy, but there were people all along the beach. I found this one brave sole setting up an umbrella.